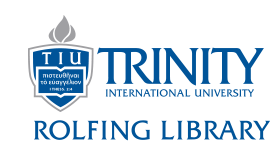 Learn how to use Trinity's PaperCut system for printing and copying. To log in to your account, go to papercut.tiu.edu. Use your TIU username and password (the same as your TIU email, my.tiu, and Moodle account [e.g., zastuden]). Logging in will activate your account which starts with an initial balance of $1.00.